Baptists are a mainstream Christian group. We have the name “Baptist” because we believe that the New Testament teaches that baptism is for those who have come to a personal faith in Jesus Christ. For this reason we practice Believers’ Baptism – that is baptism of adults by total immersion following a profession of faith in the Lord Jesus Christ as their own personal Saviour. Apart from baptism, we emphasise the importance of individual faith in Jesus as Lord and Saviour, freedom of religious conscience, the importance of the local Christian community and its lifestyle, and the independence of the church from the state. You can learn more about what we believe by reading the Statement of Identity produced by the Baptist World Alliance in 2005, or the Declaration of Principle of the Baptist Union of Scotland, to which PBC subscribes. Local Baptist Churches are autonomous and self-governing – decisions are taken by regular meetings of Church members. There is no national Baptist Church as such, only local independent Churches which might join local associations and national unions of independent local Baptist Churches. Baptist Churches don’t have to belong to those organisations – it is up to each Church to decide for itself what it does. The Baptist Union of Scotland consists of about 170 churches, with a total of about 12,000 members. There are many Baptists around the world including large numbers in the USA and the former states of the USSR. Famous Baptists include Martin Luther King and Billy Graham. Famous Baptists of previous centuries include John Bunyan (seventeenth century) and Charles Haddon Spurgeon (nineteenth century). 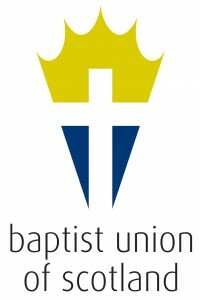 Just to complete the picture, the Baptist Union of Scotland is in fellowship with other Baptists in the British Isles, notably the Baptist Union of Great Britain (which despite the name is the association of Baptist churches in England and parts of Wales), the Baptist Union of Wales, the Irish Baptist Networks and BMS World Mission. Together, these five groups form the Fellowship of British Baptists. Additionally, BUS is in membership with the European Baptist Federation and the Baptist World Alliance.